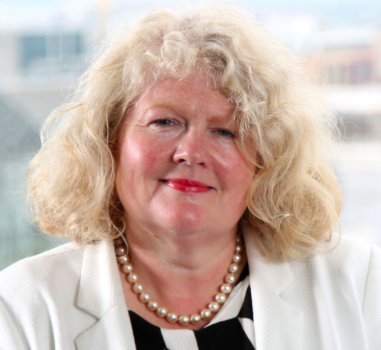 Michele Shirlow MBE – Farm Week Column 28th March 2019 | Food NI - Our Food So Good! Our showcase of premium local food and drink at London’s iconic Borough Market is over again for another year. And what a tremendously successful initiative it proved to be for the 24 companies which took part over the two weeks the event lasted. We have so many positive compliments about Northern Irish food, and business done. We also benefited hugely from the advice and guidance from the impressive management team at Borough Market. It would be good perhaps to have an ongoing presence at this important market…at some stage. It was great opportunity to sell Northern Ireland as a food destination and to work with innovative producers and councils and experience their great enthusiasm and professionalism. The craic between our businesses and shoppers from London and further afield was mighty…and real opportunities seized by many of the participating companies showing a vast range of premium products. Several were also launching products in Britain for the first time and will have gained immensely from the experience. Support from TourismNI, Tourism Ireland and DAERA made it all possible. Invest NI also supported a buyers networking reception. This follows on from support to develop business platforms for artisan companies in particular at Gifted in Dublin, Speciality Food Scotland and the UK Guild of Fine Food’s Fine Food North in Harrogate. We’ll also be taking a group of seven companies to the important Farm Shop and Deli Show at the National Exhibition Centre in Birmingham. Invest NI is once again supporting this representation at a show which offers access to this specialist marketplace, which offers probably the best opportunities for many of our smaller companies. Support from agencies such as Invest NI is vitally important to us, especially when devolved administrations in other parts of the UK are now allocating additional funding to help in accelerating the growth of their respective food industries particularly in key markets. For instance, the Welsh devolved administration has just found an additional £22 million for the industry post-Brexit. The food and farming sector in Wales is currently valued at almost £7 billion in 2018, while the sector here is worth around £5 million. In Wales, agriculture, manufacturing, wholesale, retail and catering employs 217,000 compared to the 100,000 across the supply chain here. Welsh food and drink exports in 2018 were worth £539m – up two per cent or £10 million on the previous year. Since 2014, the value of food and drink exports in Wales increased by 32 per cent. The additional funding is designed to help the sector in Wales build on its existing success and support producers to become even more resilient and to respond to whatever challenges and opportunities that Brexit might bring. Whatever happens with Brexit, and who really knows what will develop, it is more important than ever for the food and drink industry here to be able to showcase what it has to offer particularly in Britain, still our single most important market, and have the opportunity to reach out to new markets. We left Borough Market with high hopes for the future. Seeing the passion and innovation in the local businesses once again result in positive business reflects why it is so important to support the agri-food industry to reach its true potential.